This is a paddle that was used by both of our Oklahoma granddaughters when they were much smaller. When they out grew the paddle, it collected dust in the shop. 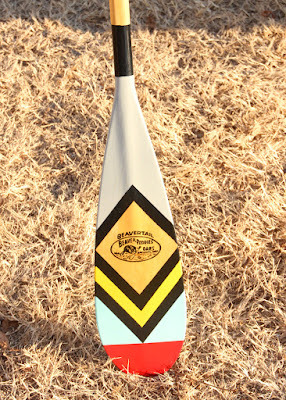 I was inspired by the paddle art done by Sanborn Canoe Co. of Winona, MN. In fact, you will see this design comes from the one titled ‘Scout.’ Using the paddle the girls had started canoeing with just made it all that much more special for us. I personalized its design a bit more by doing two things. On one side I wanted to add a Native American design, and this one of the grizzly bear claw comes from the Pacific Northwest. I also wanted to preserve the paddle maker’s logo on the flip side, and the beavertail designation. The logo had been used and abused to become worn and scratched, so I looked up the original design on Google, and did my best to repaint it. If you want to get an artisan paddle, check out Sanborn’s paddle site at: https://sanborncanoe.com/collections/artisan-painted-paddles. I really was drawn to this design for some reason, but was told that the colors clashed with our décor, so I guess it will go in the office. I guess that shows how silly I am, because I didn’t even know we had décor. That’s what happens when you don’t live in a log cabin. I had a time finding the logo on line, because it doesn’t appear under Beaver Paddles or beavertail, but Caviness Woodworking. 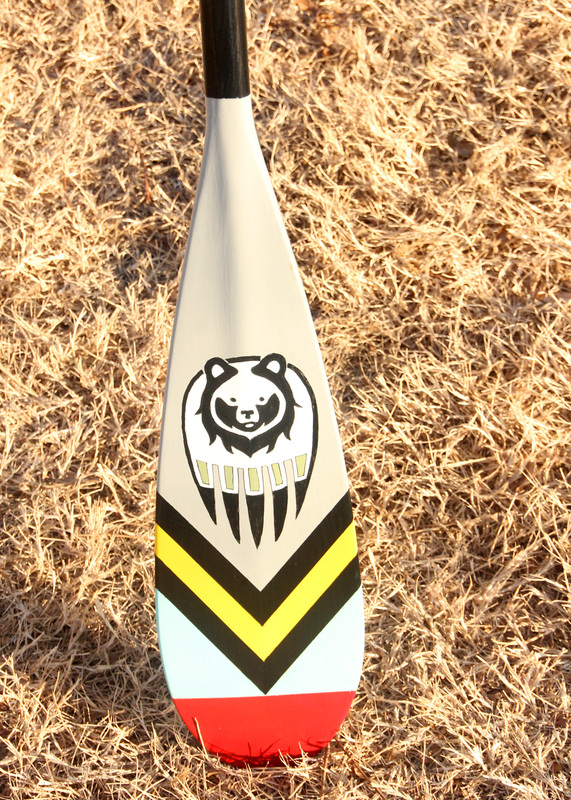 The company does oars and paddles that ship all over the world. 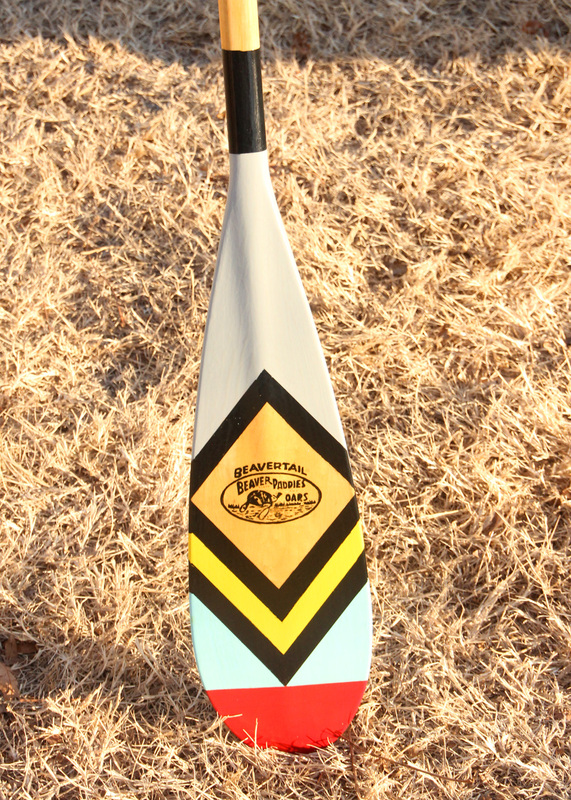 They became the largest paddle and oar manufacturer in the business, and have put paddles in almost any boating or paddling store from Walmart on. Caviness was started in the 1940’s in Calhoun City, MS, by Jimmy Caviness. They started making brooms and furniture, but with the large number of lakes around Calhoun, gravitated into paddles and oars. They have been so successful that they are now being run by the 5th generation of Caviness’.